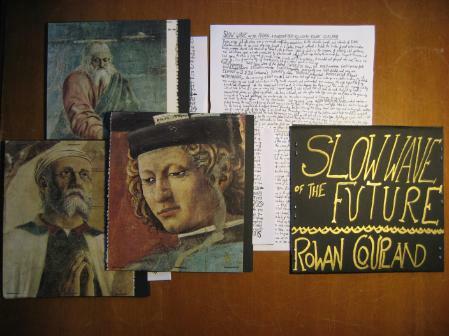 SLOW WAVE OF THE FUTURE (Dec 2012)fell into place over a 6 month rootfinding expedition to the suburbs, forests and islands of British Columbia. A spiritual odyssey fought on bicycles, transit without a ticket, the backs of pest extermination trucks, voyages shared with washed-up sherpas, the first ever sights of whales in the company of elderly Sikh gentlemen, and Christmases spent on boats surrounded by fluorescent jellyfish. With songs charting the movement from Europe to Vancouver and back again, the album is fragments of sounds, friends, songs and precipitation all recorded and glooped into one. These are songs of a loss of nationality, of love and family, and of a return found in leaving. 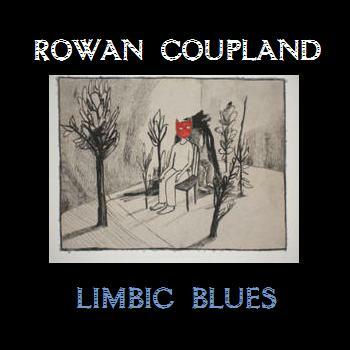 Aside from found sounds and field recordings, all playing of instruments and all lyrics were by Rowan Coupland, (except for track 9, which is an American traditional). In the Ionian Sea (2010) was written while travelling Europe in June- August 2010. From disastrous attempts to walk the hills of Spain, to cliffjumps and secret caves in the Ionian Sea, it is principally performed on piano and the first track is taken from a native american song communicated by spirits. 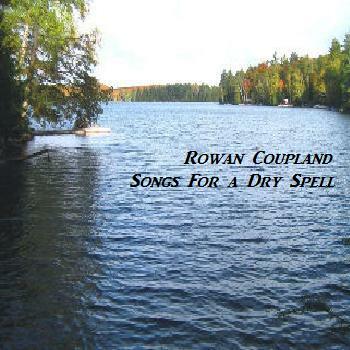 6 Song EP, recorded with voices of (in order of appearance), Sam Clodd, Caroline Rosalie, and Bethany Porter. 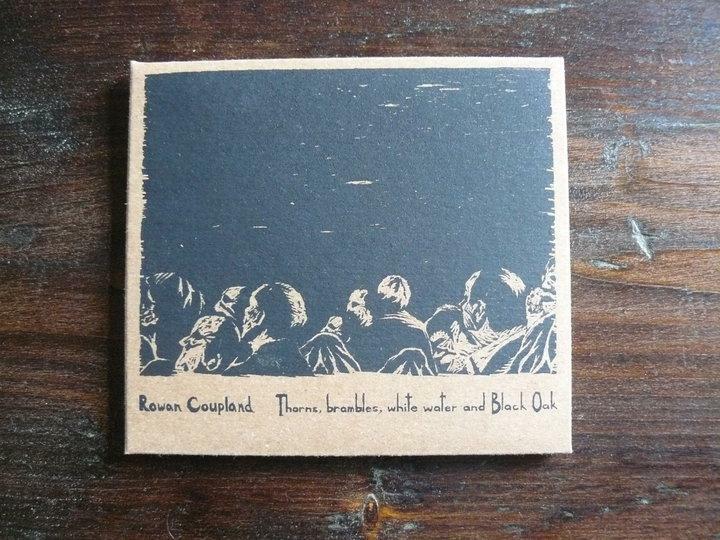 Released on Willkommen Records, with beautiful art from Raymond Wong and lovingly screenprinted by Jurgenson Print Works. 3 song EP. Was intended to be the first part of a 4 part suite of songs loosely grouped around the seasons (the others being 'Songs of drought', 'Songs of snow' and 'The Wave'). This was the only completed section, as I was too dehydrated to get much further. 5 song acoustic EP. One take each.